What do you want for your children? That they can laugh. Beaming faces when they discover something new. That they get to know nature. That they can move about freely. Freedom to romp around. That they can play together. And experience the world of animals, close enough to touch. Here at the Mohnenfluh, none of that is a stage-managed adventure, but all part of everyday life: Nature is our safe home. The mountain is our theme park. 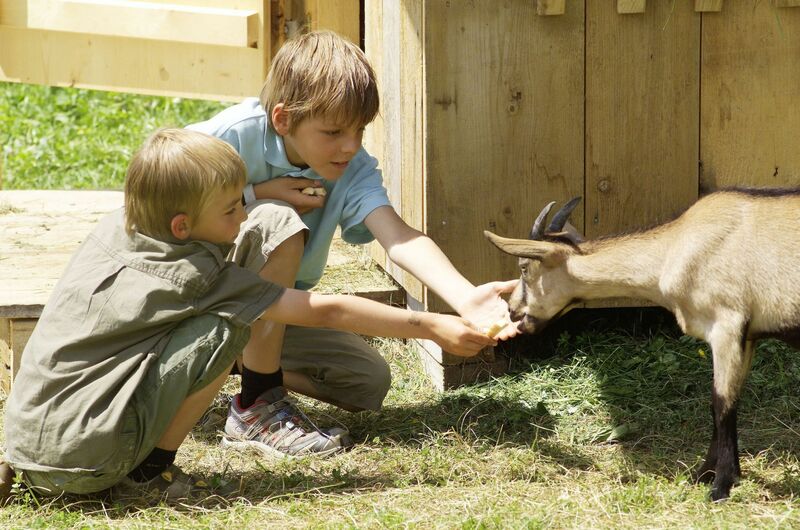 The Muxelhof is the our meeting place, where we meet sheep, goats, nanny goats, rabbits, cows and calves. High above Lech and a long way from the noise and pressure of everyday school life, your children can be children here. And you as a family can find what you're often short of at home: Time. Nature. Movement. Play. And joy. We are not classified as a children's hotel, but we are your own personal favourite address for a genuine family holiday with genuine mountain adventures. 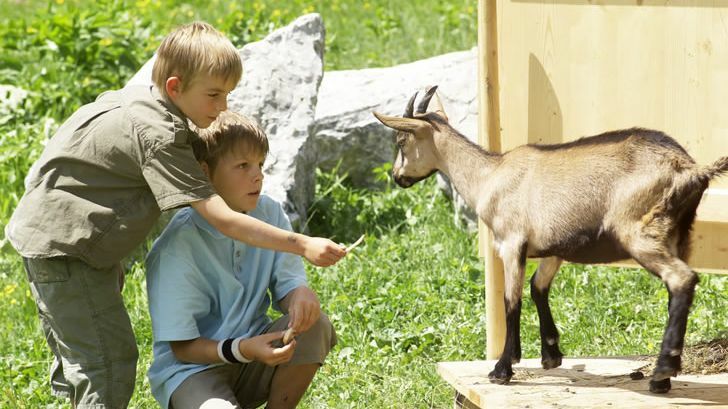 Meet animals in the Muxhelhof. Our farm next door. Happy animals. Unspoilt nature. Inspiring meetings. Today it is our proud heritage, a place of rest and a lively place to play, but once it was essential for existence. "Living on the Schloss", as Oberlech was once known, was not easy.. And even today, the Muxelhof at 1,750 metres above sea level is still the highest agricultural land in Vorarlberg that's farmed all the year round. 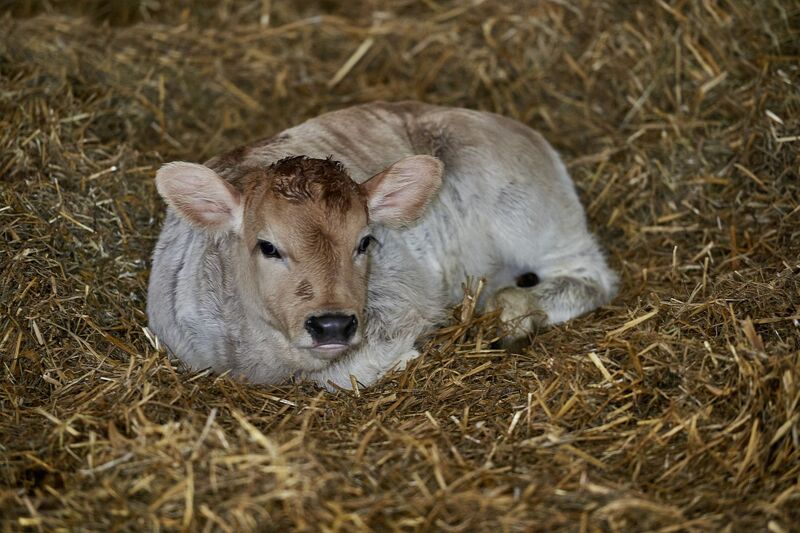 The history goes back a long way: The farm is first mentioned in records as early as 1660. During the centuries that followed, several Walser families (speakers of an Alemannic German dialect) lived in and farmed the "Schlössle". In 1872 Anna Maria Gassner married the son, Johann Engelbert Strolz. Their youngest daughter Germana took over the farm and married Josef Muxel, born in 1888, which marked the entry of the Muxel family to the "Schlössle". The farm has been in family ownership to the present day – and only a few years ago Stefan Muxel, your host in the Hotel Mohnenfluh, bought the farm from his cousin. 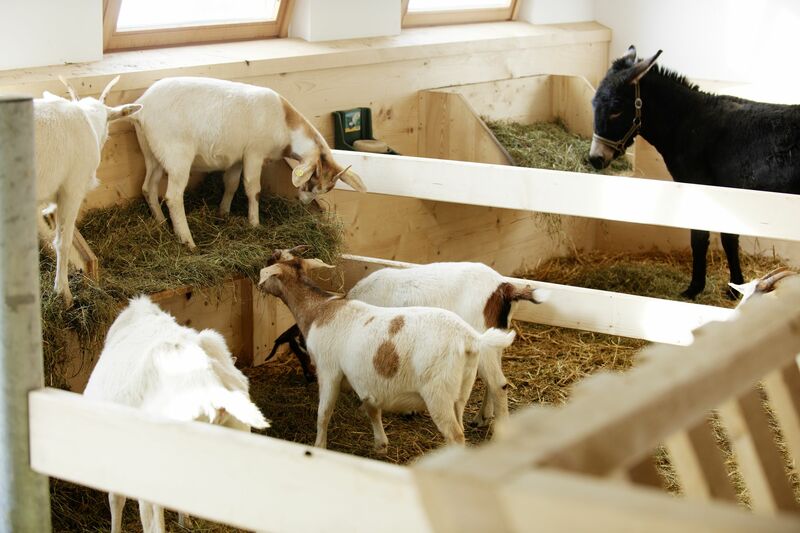 Stefan was now able to realise his dream of the "Muxelhof", which he had long been nurturing and which he today manages personally in a traditional and sustainable manner. He is a mountain farmer motivated by passion and conviction, here cultivating a little paradise for humans and animals – and their healthy, respectful life together.